Among the myriad of relationships in life, the one between a Guru and disciple is most sacred and unique. In the book “Guru and Disciple”, Gnani Purush (embodiment of Self knowledge) Dada Bhagwan provides insight into the nature of the Guru-disciple relationship and offers in-depth answers to questions like: “What are definitions of Guru, and disciple? How is a Guru necessary in spiritual transformation?” “How does a spiritual Guru differ from a spiritual teacher, a spiritual advisor, or from spiritual people in general?” “How do I find a Guru with the spiritual power to grant me spiritual enlightenment required in a spiritual life?” “Among the many spiritual teachers accessible today, do I need to find a Guru with a certain level of spiritual development or spiritual awareness?” For those on a spiritual quest, seeking spiritual growth, or simply desirous of spiritual guidance, this book provides an invaluable resource among the spiritual books available on the Guru-disciple. Among the myriad of relationships in life, the one between a Guru and disciple is most sacred and unique. 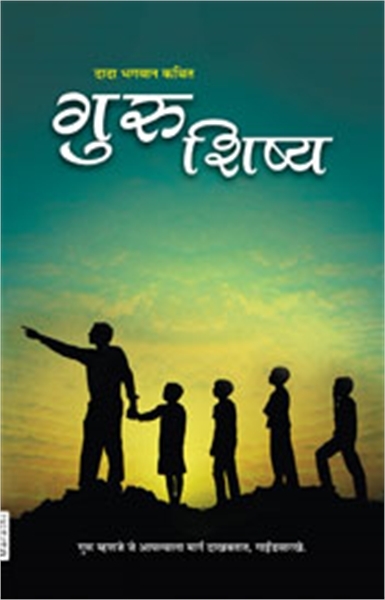 In the book “Guru and Disciple”, Gnani Purush Dada Bhagwan provides in-depth answers to all questions about the Guru-disciple relationship. For those on a spiritual quest, seeking spiritual growth, or simply desirous of spiritual guidance, this book is an invaluable resource.